The parts into their respective hole positions. 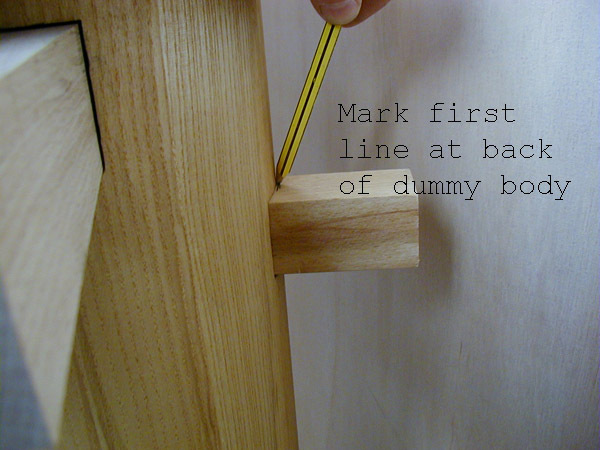 Take a look at the above drawing to familiarise yourself with the hole positions of the dummy body. Fitting the arms to the dummy body. Ensure that when the arm is fitted into the hole that the there is movement, the arm hole should be around 2mm larger than the arm shaft. e.g. Arm shaft 38mm square hole in body 40mm square. 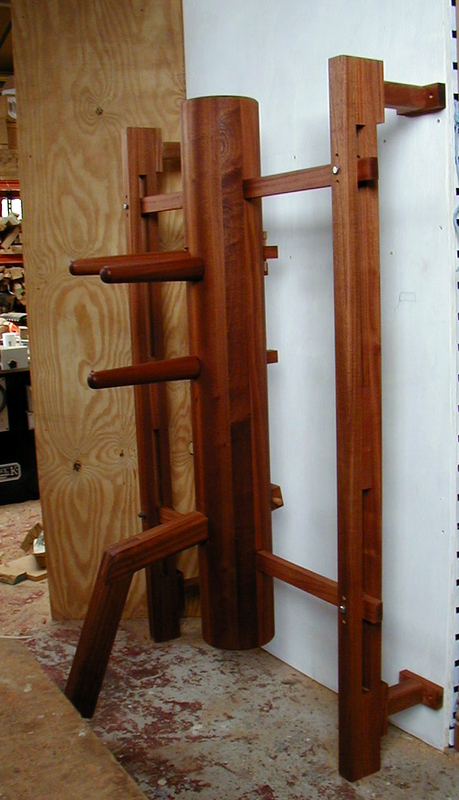 Place both the top arms into the arm holes at the top of the dummy body, the shafts of these arms are of offset. The left arm should be placed with the top of the shaft upright and the right arm should be placed with the top of the shaft facing downward (see pic below) This will ensure that the arms are close to level when in place. Push both arms from the front so that they are as far back into the body as they will go. Now remove both the arms place them down with the lines uppermost and measure back from this line 15 milimetres See drawing below draw another pencil line at this location. Now find the centre of the shaft width (19mm in from side) and make a cross at this location. 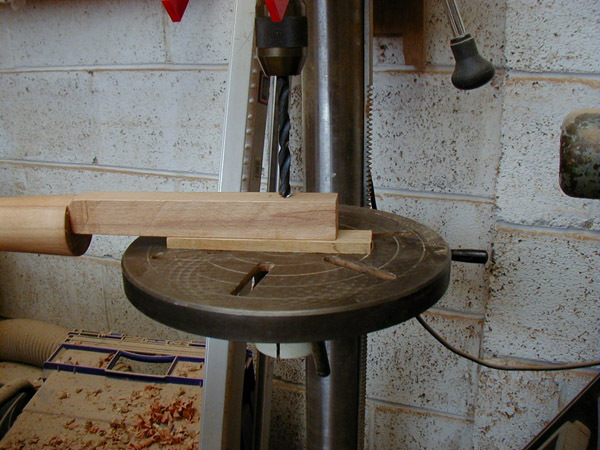 This is where you will drill the 12mm diameter hole for the locking pin. It is worth making a punch mark at the centre of this mark using a bradawl, centre punch or nail, this will stop the drill bit wandering when you start to drill. If you have access to a pillar or bench drill use this with a 12mm diameter drill bit to drill the hole completely through the arm shaft. If you are using an electric drill ensure that you have the arms clamped in a vice or onto a bench. It helps to have a scrap piece of wood underneath the arm shaft so that when the drill bit comes through the shaft it does not break out the timber. Once the arm shafts are drilled replace them in the dummy body and drop in the locking pins and you are ready to go. follow the same procedure as above, only the bottom arm does not have an offset shaft so can be placed into the dummy body any way around.